I get so excited this time of year! As an online seller this is really when things start to heat up. The sales start to come in in October, ramp up in November, and then just go completely wild in early December. It’s a fun, frantic, fantastic time to be selling online which, for me, means selling on Etsy. To help you prepare your online shop for the 2015 Holiday Shopping Season, we’ve teamed up with Endicia to assemble a guide full of tips, ideas, and resources that have helped us and others in the EverythingEtsy.com community over the last six seasons. For a rundown of the topics this guide covers, check out this post. How will you send it? Those are really just a few of the LESS detailed questions. The answer to all those questions and your presentation of that information (along with other, more important stuff) is, in aggregate, “your offer”. It seems like a pretty good bit of info right? The idea of “finalizing your offer” might even seem daunting. Don’t worry, it’s not too bad… as long as you focus! Well maybe that last one isn’t so well known yet, but the point remains the same. In order for a small business owner like you to reach your fullest potential online, you’re going to have to focus. Focusing on one niche, or even one product, is one of the best things you can do for your business, and in preparation for a record breaking holiday season this is the place to start. While it may seem counter-intuitive you’ll find that focusing will make you better and help you establish a solid foundation from which to grow and expand later. Easier Customer Profiling – “Target Market”, “Ideal Customer”, “Customer Avatar”, etc., etc. They all mean the same thing. You can market your products exponentially better if you know who your customers are. What compels them? What drives them to make a purchase? The fewer product lines you have, the easier it is to understand your customers. More “What’s Next?” Clarity – What’s the biggest productivity killer on the planet? – Not being able to identify the most important next step. If you’re selling three types of items to seven groups of people, trying to figure out what you can do to improve your offer, your products, or your marketing can feel almost impossible. If you’re focused that becomes a much shorter list and making the determination of what’s most important, your very next step, is much simpler. Improved Consistency and Systems – Later in this guide we’re going to be talking about creating systems for how you do repetitive tasks in your business. These will help you if you need to hire people because it’s easier to train someone in a particular set of steps than it is to educate them on the whole idea of your business. But even if it’s just you, having systems for repetitive tasks leads to an increase in consistency. Consistency manifests itself to your customer as experience, professionalism, and dependability. Focus makes creating systems much more manageable. Focus Makes the Whole Thing Seem Possible – This might be the most important benefit of focus. It breaks your work down into something manageable. Something you can handle. 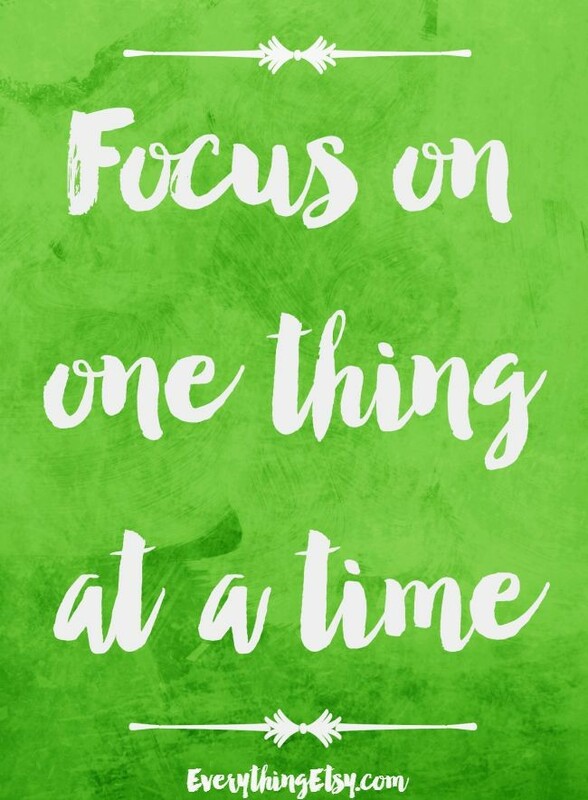 If your business “to-do” list feels like an episode of “Hoarders” then focusing is the equivalent of “Let’s pick a room and just start!” And just like the TV show, the reality is that it is actually possible to get it all done! But what about having multiple items being good for SEO? Isn’t that the opposite of focus? While focusing on a particular product or niche is good. Having a shop with only one or even a dozen items for sale isn’t really good. It’s hard to succeed selling online with only a few choices for your customers (although it can be done and is easier than succeeding with a fragmented offer). The answer is to focus and then create variations. My first Etsy shop was a great example of this. I sold felt hairclips, mostly for little girls. My focus was very clearly on felt hairclips for little girls, no question about it. If you visited my shop, you knew it in an instant. But I had a huge selection! I had cupcakes and ice cream cones and skulls with pink flowers in their hair (well, skulls don’t actually have hair but still…). So I was able to focus in all aspects of my offer while still casting a wide net in terms of SEO and social both on Etsy and off. Once you’ve got that focus thing down, take a close look at your offer! People start shopping way before they start buying, so the earlier you have your offer in ship shape the better. As I mentioned above, your offer should answer all of the most obvious customer questions. But beyond that, it should also put your best foot forward and kind of “sell” for you. Call it your Unique Value Proposition if you like to use the phrase of the decade, or you can just call it “explaining why you and your shop just totally ROCKS!” Whatever you call it, that is a big part of the offer I’m talking about. What’s special about my products? How are they different than similar items? What do my customers love the most about my products? What is the most common positive feedback? What’s special about the way I make or source my items? What’s special about where I make my items? My workshop? My location in the world? How am I better to work with than an alternative such as Amazon, or another small seller? In what ways do I support my products? What do I do to make the process easier, nicer, more fun, for my customers? These are the types of questions that will reveal to you what is special about YOU and YOUR SHOP! The answers to these questions might as well form solid gold letters in the air and fall with a thud on the floor around you. They are that valuable! The answers to these questions make up the other half of your offer. Arguably, this is the less important half but it is typically the half that gets the most attention. If you get the first part (why you rock!) right, the customer will care much less about the answers to this part. If you slack off on the first part, you’ll need to really pay attention to these. Some of these are straightforward product description, others aren’t so cut and dry. Let’s talk about a couple. Pricing is a very important part of any business. It really doesn’t matter if you’re selling $5.00 items or $5000.00 items, pricing is still key. Pricing does, however take time to perfect. If you’re in a pinch, you can do a search for similar items and see if you can identify a baseline “going rate”. More often than not, that going rate is going to be higher than you think you should charge and you’ll be tempted to think that you can sell more by going lower on your pricing. Don’t make that mistake! First of all, going low doesn’t generally do what you think it’s going to do… add up to more sales. So if you’re getting the same number of sales anyway, you might as well make a few bucks more off of each one. Secondly, selling at a low price is kind of a poison pill to your business because eventually you’ll start to feel like “it’s just not worth it” when you look at all the effort and time you’ve invested. That extra 25% to 50% of revenue you would have earned with higher prices can turn that feeling on it’s head! Finally, selling at a higher price puts you in the position of “quality” provider rather than “dollar store” provider. This will put some pressure on you to do a better job, provide a better product, and make a more compelling offer, but in the long run it is a more sure road to success for an online business. Leave the bottom of the barrel to the online giants and the brick-and-mortar stores. Don’t forget that pricing includes shipping. You may want to tell yourself that people consider shipping as a “convenience fee” and they don’t mind paying it. NOT TRUE! 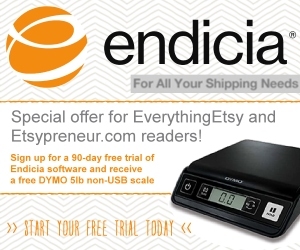 According to a speaker at a recent Endicia Users Conference we attended 58% of online shoppers abandon the cart after seeing higher than expected shipping costs. So keep your shipping cost as low as possible and give free shipping a try. I shop at Amazon.com all the time. I almost never ever return anything. But I know I can and that makes all the difference. If you’re willing to take returns on your items, make sure you include it in your offer! Make sure your customers know it! Endicia has “pay on use return labels” if you really want to go the extra mile. Is this the message you’re sending? Is that really what you want? 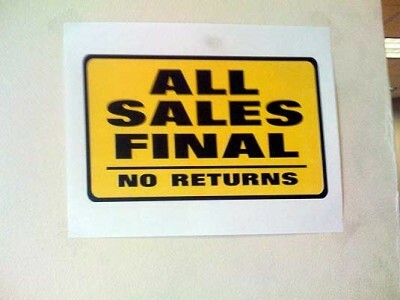 No matter how you handle it, the bottom line is that if you don’t mention it at all your customer will make the assumption that returning something to you will be a royal pain and the buying decision will be made as-if you had an “All Sales Final” sign scribbled on cardboard and posted above your register. We all know how those make us feel at checkout! It’s all part of finalizing your offer! Don’t use too many words! Do use pictures as much as possible! There really is an art to getting lots of information out there without writing a book under each item for sale in your shop. Good photography can answer a huge portion of questions about the product. Yes, your pictures are (probably the biggest) part of your offer. Now is the time to spruce them up. If you sell on Etsy, you can’t use HTML in your product pages. Why you can’t use simple things like bold, italics, and headings is beyond me, but I guess it keeps the site looking clean. You get the idea. The point is that breaking up your text areas into visible sections using headings will be good for your customers and good for you. Remember… Focus and Know Why You Rock! Entire business school semesters could be taught on the subject of perfecting the offer of an online business, so I guess we have to draw the line somewhere, although there is so much more to discuss! 2. 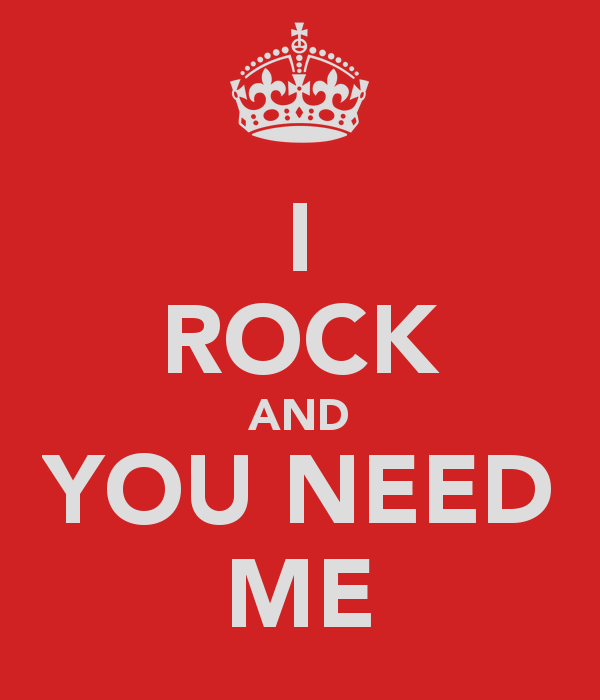 Know why you Rock! If you get that message right, then much of the rest will just work out. 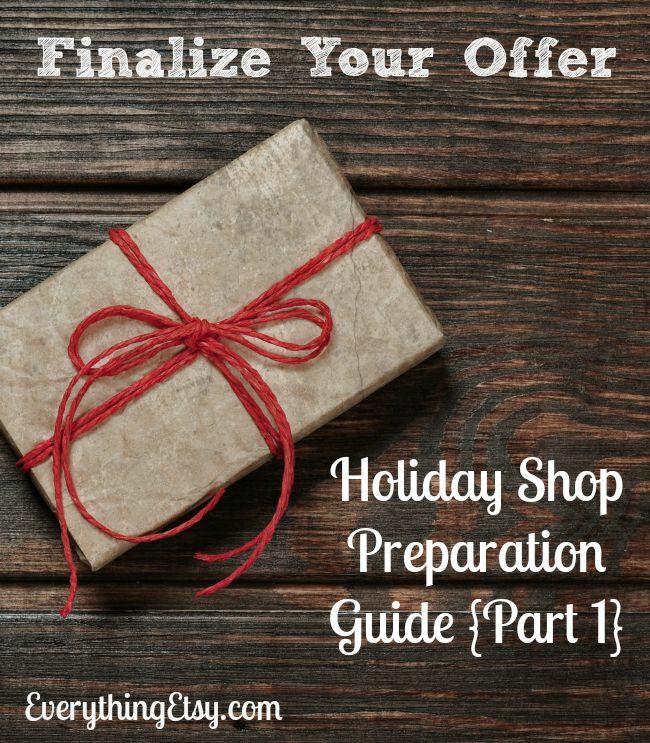 If I’ve left you with questions, or you want to share some of your thoughts on “finalizing your offer for the holiday season” please jump in in the comments below. I’d love to chat with you about it! This was really helpful thank you. I have sooo many questions ! I create prints and greeting cards but my market is pretty big therefore finding it hard to focus on one thing/ idea/concept! In something with universal appeal, it can be a real challenge to find focus, but it’s still a good idea to try. Imagine if you were trying to go up against Hallmark Cards (you kind of are, right? )… you could never hope to cover every type of greeting card they offer anytime soon. Would you be better off just covering as many areas as you can and hoping to get noticed, or would it be better to develop a particular niche that you can serve better than anyone else? I think it’s better (and more doable) to focus on a niche. Once that market is cornered, you can expand to a nearby similar niche. In that way, you can eventually overtake Hallmark if you just really really really want to do that. 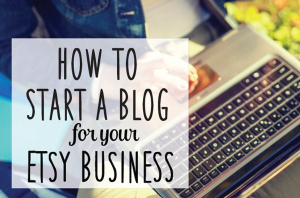 How you would identify that place to start might be easy for you. Maybe you have a particular “leaning” towards a certain type of prints and greeting cards. Those that are your favorite. Or maybe you’ve seen a particular type of item sell much better than others, either in your own shop or in your research into other shops. Or maybe you’ve already got a head-start on an “audience” in a particular niche in your social media or circle of friends. Those are all ways to find out where to start. This is so timely! Thanks so much for the reminder to focus! I seem to be all over the place! 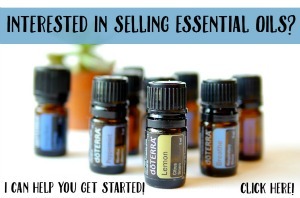 I’m struggling with sales and something that I have noted is that we have to have more products, I’m trying to add them. The more you offer the more different opportunities. I have a high shipping cost from Brazil, and yet people buy, less than I wish, but they do! I’m always trying to balance shipping cost and product price. It sounds like you’re learning what works for you! I think many people that are shopping for handmade items are fine with paying a little extra for shipping from other countries. They are looking for something unique that they can’t find in their own area. I understand what you are saying about finalizing your offer, but I’m not exactly clear on how you recommend doing so. Are you talking specifically about updating listing descriptions to include all this information, or does this extend to policies, my about page, etc? Overall “your offer” includes all of the places your online business interacts with customers and potential customers. So that includes listings, about page, policies, and even your social media and your website. You shouldn’t be afraid to change your listing wording and update your other pages frequently. It’s good to keep some consistency once you’ve gotten your message the way you want it, but tweaking those pages is also good. Thanks for stopping by! I took a peek at your shop and the little socks are adorable! Number one focus before you list anything is getting the keywords correct! Once you have that, then you can fashion your titles, descriptions and tags…super important! I disagree that keywords should be focus number one. I think understanding your market, knowing your customer, and knowing your products is much more important than keywords, tags, and titles. SEO is important, but only AFTER you know what your offer is and know why people buy it. If you focus first on Keywords and tags, before really understanding the triggers that lead to action on the part of your customer, then you can really end up with a mess of jumbled wording that looks like it was written for a computer, not for a person. Overall, good SEO is a natural byproduct of knowing your offer and spending the time to share it well. Blog posts, videos, well written descriptions, social media shares and ALL of that pointing to your item in Etsy is all natural organic SEO and is the method of SEO marketing we recommend. Of course we also say that it’s not a good business plan to rely on Etsy search for your sales. You can put too much effort into keywords and SEO only to have an algorithm change the very next day mess it all up. However, once all of that is done and you really do know what you’re offering and why people buy it, then good keywords and tags are solid step to take, no doubt. My just opened last week. I haven’t had any sales, but I have had some views. Thanks for the helpful tips. I’m excited and nervous about my 1st holiday shopping season. I do have question about pricing. Won’t it look bad if I change my prices since my store is already open. Congratulations on your new shop! To answer your question… No, you shouldn’t worry about changing your prices. Change them as often as you feel you need to. Some of the biggest sellers online have automated systems that update prices constantly, others have sales that seem to happen every day with a different discount. The only moment a buyer really pays close attention to your price is the exact moment of purchase. Feel free to change it until you have it dialed in perfectly! Thanks for the article, great advice! I wonder what your opinion is on including “Free Shipping” on smalls. Most of my items are low priced items, lip balm and sunblock sticks etc, between $3 and $8. Adding the shipping into my items doesn’t seem to make sense because even if I charge at cost for shipping (which I already have my settings set to do) I am almost doubling the price of the item. What do you think?